Have you read The Secret River by Kate Grenville? 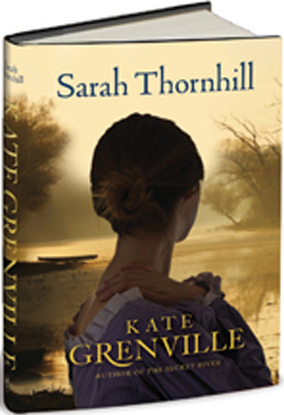 If you have you might like to try Kate's new novel, Sarah Thornhill, which takes us back to early Australia, the Hawkesbury River and the now prosperous Thornhill family. The story is told from perspective of William Thornhill’s youngest daughter, Sarah whose life is so different from that of her convict-turned-landowner father. Her stepmother calls her wilful, but handsome Jack Langland loves her and she loves him. “Me and Jack, she thinks, what could go wrong?” But there is a secret in Sarah’s family, a piece of the past kept hidden from the world and from her. A secret Jack can’t live with. A secret that changes everything, for both of them. As the book jacket says, Sarah Thornhill is about love lost and found, tangled histoires and how it matters to keep stories alive.